ORLANDO, Fla. (April 11, 2019) — Dear Evan Hansen will host a digital ticket lottery offering fans the chance to purchase a limited number of $25 tickets available per performance. Dear Evan Hansen, part of the Fairwinds Broadway in Orlando series, opens at Dr. Phillips Center on April 16, 2019 and runs through Sunday, April 21, 2019. 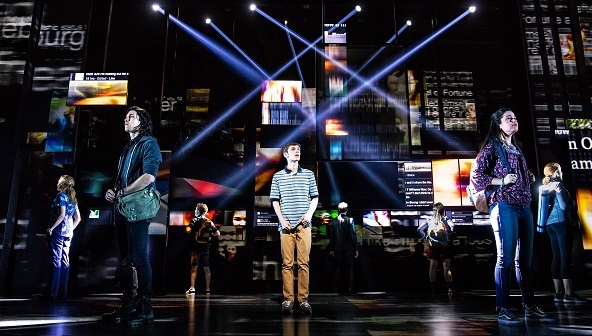 The winner of six 2017 Tony Awards, including Best Musical, Dear Evan Hansen features a book by Tony Award-winner Steven Levenson, a score by Grammy®, Tony® and Academy Award® winners Benj Pasek and Justin Paul (La La Land, The Greatest Showman), and direction by four-time Tony Award nomineeMichael Greif (Rent, Next to Normal).